I am leaving for the United States in two weeks for an extended 8-month stay. It just hit me that I am going to miss Filipino food so much! Now I need your help on this one. 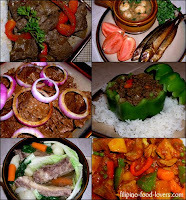 If you had two weeks left in the Philippines, which comfort Pinoy restaurant/food would you eat?